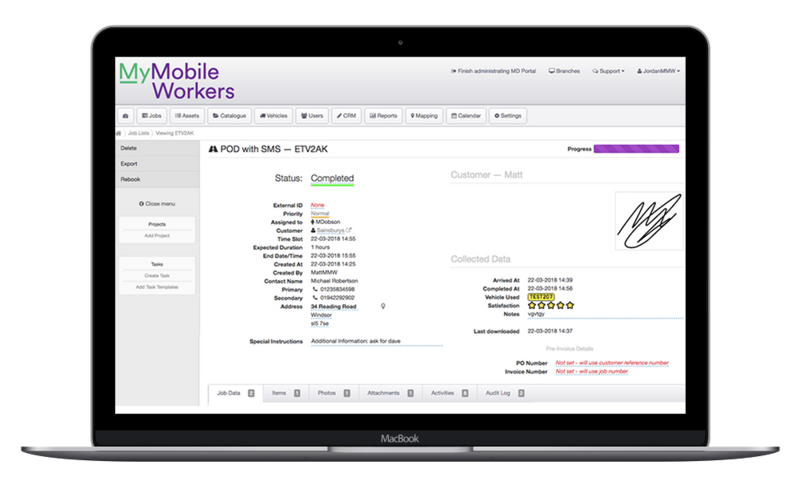 Whether it’s something that’s enforced after job completion, or at any point throughout the job, your mobile worker can collect a digital signature from the customer using the touch screen functionality of the device. This provides lawful proof that the job has been successfully completed or a service has been delivered. 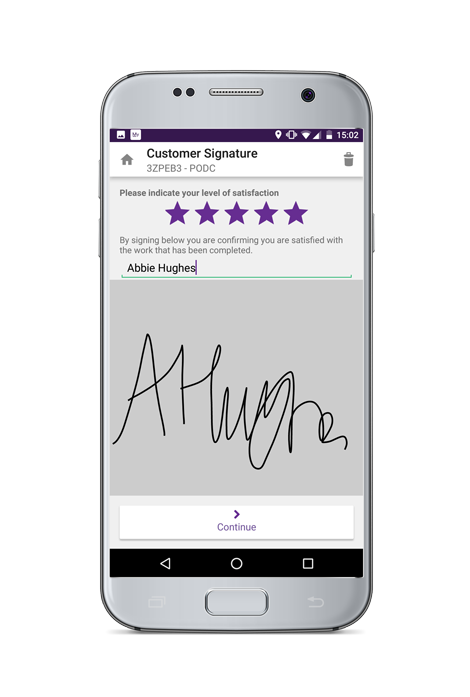 It also gives the opportunity for the mobile worker to collect feedback from the customer in the form of a satisfaction rating. 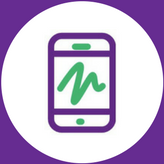 Permitting customers to provide a rating of the service allows you to acquire helpful data about your service offering and correct any problems before they manifest, keeping your customers happy and ensuring your business upholds its reputation.